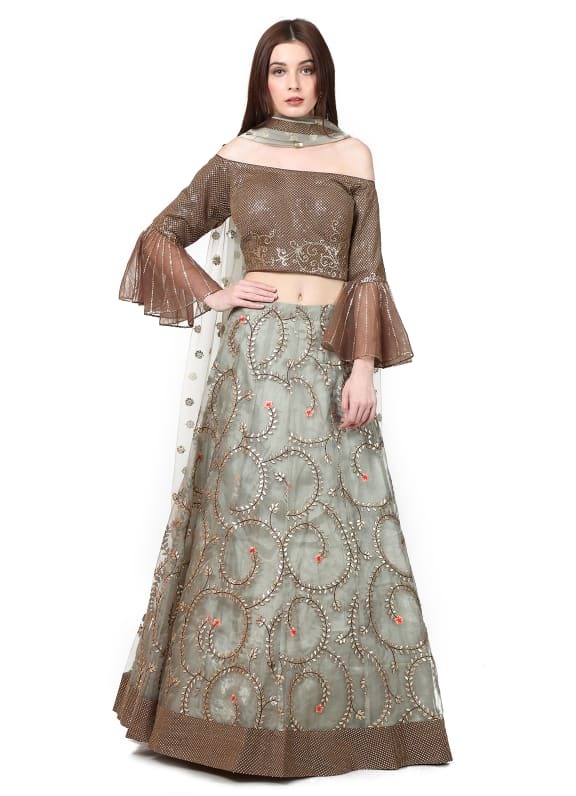 Featuring a brown sequins embellished blouse with frill sleeves. 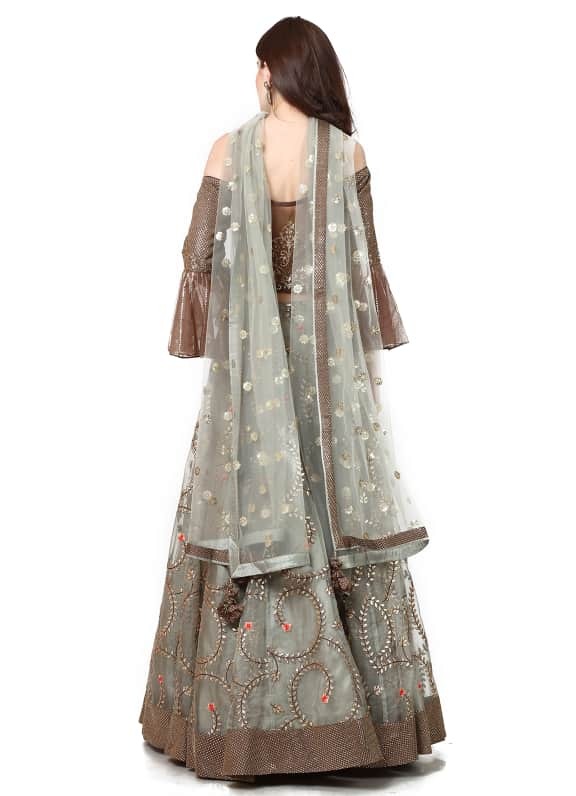 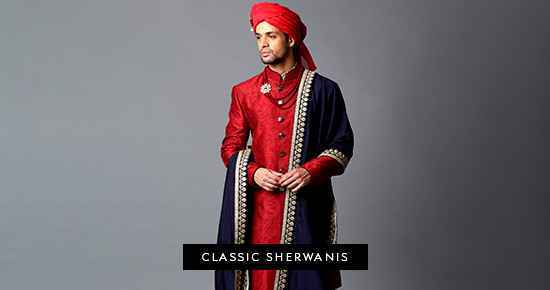 It is paired with a mint green and brown lehenga with jaal embroidery and dupatta. 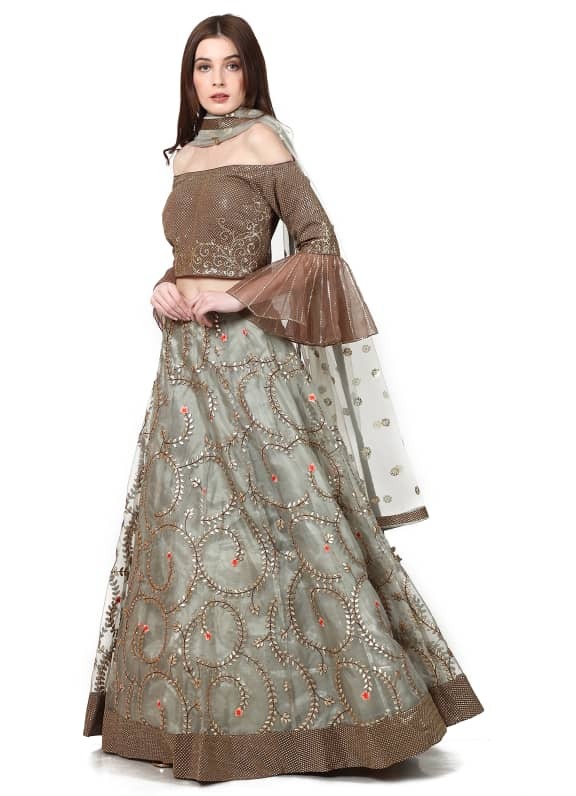 Keep things offbeat this festive season and don this stunning lehenga for your best friend's sangeet night. 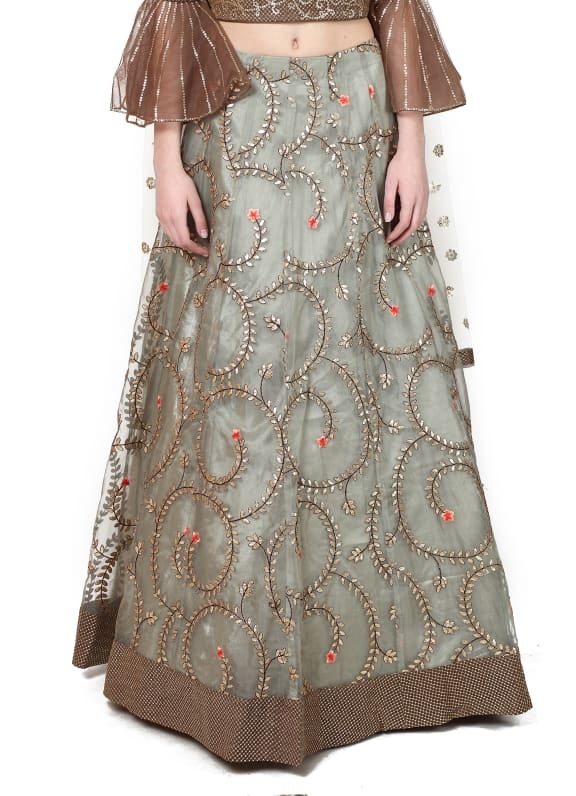 Style your look with a pair of Amrapali earrings.